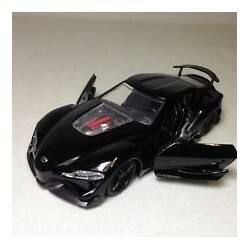 Choose from a wide range of toy cars. Cars There are 15 products. 3 assorted chunky plastic construction vehicles in a net. Chunky for little hands. Safety wheels for young children. Cement mixer and tip truck in bright colours appeal to young children. Bin and mixer lift off base on sturdy hinge. Display box holds 6 pieces. 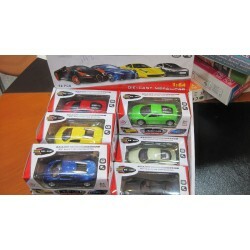 Assorted designs of metal cars scale 1:132 in a gift box. Pull back mechanism with opening doors. 11 assorted designs and colours. 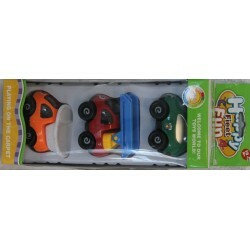 Display box of 12 pieces; pull back mechanism; matchbox type cars in 4 assorted colours. Metal car sets - police / construction / fire - match box scale.